Axcess Tree Services provide a full tree and vegetation clearance service for civil engineering and groundwork purposes. Do you have an overgrown plot of land? Care and upkeep of a plot of land can often be difficult to maintain when left unmanaged over a period of time. Before you know it your trees, shrubs, and hedges are massively overgrown. Because of this the only solution to the problem is whole site vegetation clearance. 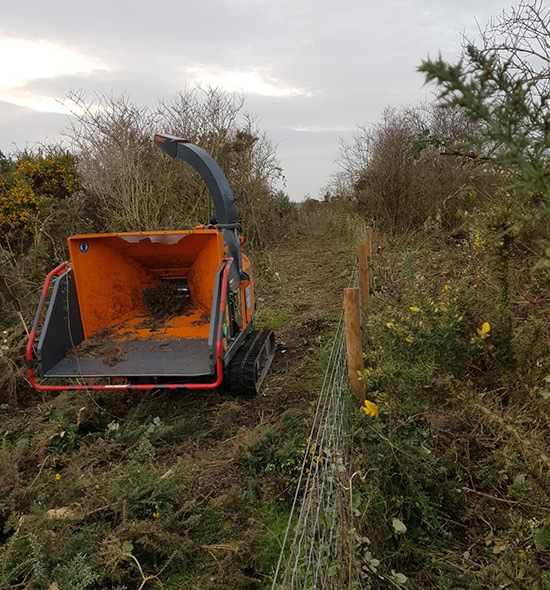 Access Tree Services are specialist contractors offering tree and vegetation clearance services to the forestry, utility and construction markets. These services include mechanised tree clearance, whole tree chipping, forestry mulching, habitat mitigation, tree surgery, etc. Experienced in working with some of the UK’s largest building and civil engineering contractors, Axcess Tree Services have gained an excellent reputation within the tree contracting industry. With an extensive in-house fleet of machinery and team of trained tree surgeons, we are able to undertake both large and small scale projects efficiently and effectively.